E-learning in Africa is catching on quite fast. There are many initiatives that governments across the continent have begun that will see students access education in a way that was never deemed impossible. It is estimated that the e-learning market in Africa will reach US$513 million by year end. Connecting more schools to the national electricity grid and extending the internet has also seen foreign e-learning companies seeking opportunities in Africa. Positivo BGH, an Argentinean company, has several projects in Rwanda and Kenya to manufacture devices for their education sector. Other companies such as Samsung, Intel and Microsoft have also looked into the education sector. There are various ways that countries in Africa are approaching the issue of e-learning. This was made clear at a recently held Innovation Africa summit in Nairobi, Kenya. Here is a list of five countries that are seriously pushing e-learning in Africa. As one of the few countries that made the analogue to digital TV migration in 2015, Botswana has taken e-learning seriously and has implemented various programmes to push this agenda. According to Simon Coles, Deputy Permanent Secretary for Education and Skills Development in Botswana, the country put in US$3 million to establish a digital studio that will enable the education sector to produce high quality lessons accessible through radio and television. These include training their teachers to handle the new digital learning phase, which they have partnered with Microsoft to do so. “We have also developed our own [e-learning software] that runs on Android,” Coles added. The software generates questions for students and helps them learn on mobile devices. In March this year the country saw the launch of Botswana College of Distance and Open Learning (BOCODOL), a fully online learning system that can enrol students from anywhere as long as they are connected to the internet. Such serious government and private initiatives makes Botswana one of the countries seriously looking to change its educational fortunes. Kenya Digital Literacy Programme has been in the works since 2013 and this year has seen initial learning devices (tablets) being distributed to selected schools. But more important still is the work that the Kenya Institute for Curriculum Development (KICD) is doing in terms of aggregating digital books. Belio Kipsang the Principal Secretary for Science Technology and Education ministry in Kenya said that the government through KICD is looking to create one portal for education content. All publishers will be able to upload, sell and update their publication from this portal. This portal will also connect content to all learning devices that will make access to content cheaper and easier. “We want to give all our learners equal opportunity so that they are able to access knowledge and content,” Kipsang said. The government is currently rolling out the learning tablets to all schools which are connected to electricity and by next year the real impact of the new system should be felt. The government in Rwanda has moved with speed since 2007 to introduce digital learning through their One Laptop Per Child programme. The initiative aims to provide 2.5 million children in primary school in Rwanda with learning devices. By April 2015 the programme had deployed over 267,000 laptops in more than 930 schools having attained only 10 percent of the target. Rwanda has deployed over 26 innovations with half of it in the ICT field within the last three years. This includes transforming classes into Smart Classrooms where content is interactive through the use of devices. All of these have come via the country’s ICT master plan. Rwanda has extensive internet coverage with Liquid Telecom boasting that the whole country is covered with its fibre optic. This makes it easy to propel the e-learning program forward. At a Broadband Commission Meeting in New York, President Kagame articulated the need for connectivity if the country is to achieve greater development. 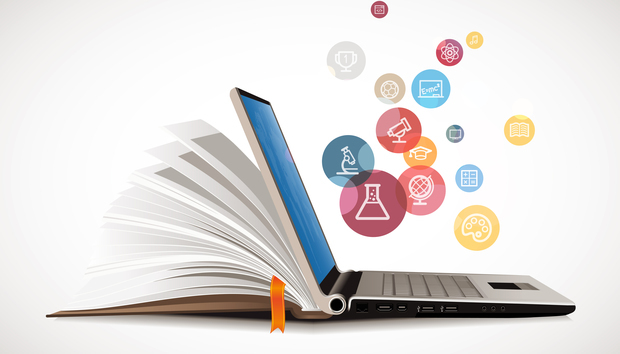 South Africa is hailed to be the biggest e-learning market in Africa according to a new study [PDF] by Ambient Research. The research showed that South Africa started to modernise its classrooms even before 2013. “In June 2013, the government in Gauteng, a highly urbanised province in South Africa that includes the cities of Johannesburg and Pretoria, announced that they would distribute 88,000 Huawei tablets to 2,200 schools in the province starting in January 2014,” the report said. Private sector has engaged the education system to provide platforms to transform digital learning in the country. “As an example, the M-Ubuntu programme in South Africa offers pupils in the partner schools a tutorial service in reading and writing, conducted by specialists resident in the United States, the United Kingdom, Sweden and Italy,” a report by Unesco [PDF] in 2015 observed. Such initiatives have put the country in the forefront in investing in e-learning, not only in primary school but also in higher educational institutions. The Assistant Commissioner for Private Schools, Ssebukyu Edward spoke of the ambition the Ugandan government has in implementing e-learning in the country. “Uganda is still grappling with the quality aspect [of ICT] especially in primary education,” Edward admitted. Edward said that they have put up computer classes in over 1,000 secondary schools and currently all universities have computer learning centres. Edward added that within his ministry there is a policy document that is aiming to make mobile digital literacy a reality in Uganda by the year 2018. According to Edward this will not be possible without the partnership of private sector and government. All over Africa there are initiatives to push digital learning. Nigeria, Tunisia and Angola all have programmes to make education accessible to all and ideally cheaper. However, the approaches might differ and there might be a need to learn from each other on implementation processes and best practices.